News TV Channel / CNC World is a 24-hour global English-language news channel, launched on July 1, 2010. It is 51% owned by the China Xinhua News Network Corporation, and 49% by private investors, including Chinese home appliances maker Gree. 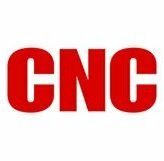 CNC World's mission is to provide comprehensive coverage of world affairs while explaining matters of direct concern to the Chinese leadership in a perspective its producers consider appropriate. The venture is part of Beijing's effort to "present an international vision with a Chinese perspective," Xinhua President Li Congjun said at the press conference announcing the launch of CNC World. Xinhua has leased a newsroom in New York on top of a skyscraper in Times Square to provide CNC World with prominent exposure in the United States. Its rivals include CGTN, New Tang Dynasty Television and Blue Ocean Network.